John Smith (1968) had once said, “The first thing you have to know is yourself. A man who knows himself can step outside himself and watch his own reactions like an observer” (Smith, A. 1968). 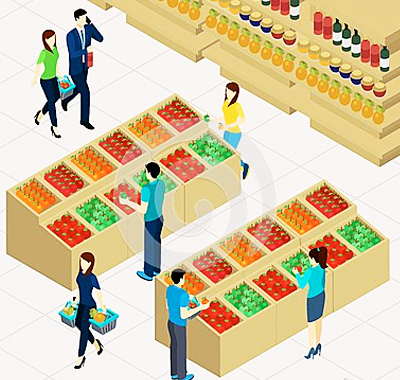 This essay discuss how a entrepreneur in Belize who has a supermarket in Mopan Maya villages of Santa Cruz in Placencia, realizes his dream by studies his market areas, his customers and applying some basic theories into his practices. His desires not to satisfy with his status quo and strive to improve his business allow him to enjoy a profitable business by utilizing global supply chain with different products that also improve the life of the local people in Belize. Daniel Tan has earned his MBA with specialization in sales and marketing from a prestigious university of Mainland China in his early 20’s. Shortly after that, he received an offer from China.com, one of the most influential Internet companies at its time in the Chinese history, to serve as the First Executive Assistant to the Chief Marketing Officer, CMO who was focusing on developing the advertisement market in the Central and South-America area. In the very beginning, Daniel was very excited about the opportunity that he could expand his horizon of his world. However, two years after working for the CMO, Daniel started losing his faith in the company. John Smith (1968) had once said, “The first thing you have to know is yourself. A man who knows himself can step outside himself and watch his own reactions like an observer” (Smith, A. 1968). Daniel knew that the company was going to go public and he saw first handed about how his superiors were involving unethical and even illegal behaviors in order to secured “deals” and “profits”. Therefore, shortly after his promotion and had become the Assistant Vice President, Chief Assistant to the CMO, Daniel took the offer for early “release” as the company was ready to start its initial public offering and was trying to cut the redundancy of the management. Daniel had received a very well paid compensation as the termination of the relationship of China.com. Within Daniel’s mind, he always wants to have his own supermarket. When he was traveling for China.com, he had spent months at Belize and had fallen in love with the country. He kept telling himself that once he had retired from China.com, he would open a supermarket in Belize. With the money that he had received from China.com, Daniel was able to marry his high school sweetheart and moved to Belize City to open his supermarket. Daniel and his wife moved to Belize in 2008. He opened his first supermarket in Belize City on a rental property. He rented a building and started his operations. In the very first year, Daniel was struggling as he had to adopt his new life-style in Belize as well as to build his business connections in Belize. He lost some money during his first year of operation in Belize. However, he had learnt from his failures and had implemented some of the charges. For example, he noticed that there were high demands of heavy–duty power tools from the local people, however, they did not have the means to purchase the needed tools, however, they would willing to pay a relatively high price to rent the necessary tools in order to get some jobs done and earn the money. After Daniel had identified there was a market for renting heavy-duty power tools, he purchased a 20-foot container of different kinds of tools and starting renting to his customer. Daniel was able to identify a way to create customer value proposition successfully (Christensen, 2016) and eventually allow his supermarket to excel in the area despite other highly competitive supermarkets with long-established history and awareness from the local people. However, after six years of continuous success, the property owner of Daniel’s supermarket forced him to move out at the end of seventh year regardless there were three years remaining of the original lease. In the first place, Daniels refused to move out as the lease still had three years remaining. However, the property owner had built some obstacles that blocked not only the traffic but also the routes that allow people to go back and forth from their residences to Daniel’s supermarket. Later, the property owner even damaged the power poles that cut off the electricity supply to Daniel’s supermarket. The actions of the property owner left Daniel had no other option but pack his store and move on to the next location. Few months after Daniel’s move, he learnt that the property owner had open up another supermarket with the same trade name as Daniel at the same location. After moving out from Belize City, Daniel studied the Mopan Maya villages of Santa Cruz in Placencia. He had an idea of setting up his new store in the middle of three villages. He called the location as the “Delta” location. He set up his market in the middle of three towns that are 30 minutes driving each way and there are some settlements in between them. 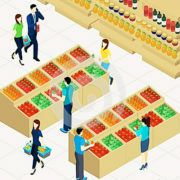 Daniel believes that if he stocks a substantial amount of products for his customers, they would make his supermarket their “One-stop” shopping spot. They would not want to travel far away to buy the same necessities at a cheaper rate as he believes that the “market system is not just a means of exchanging goods but also a mechanism for sustaining and maintaining an entire society (Heilbroner, 1999). Mendenhall (2013) had stated that people with high tolerance of ambiguity “will find ambiguity interesting and challenging in a positive way”. Daniel agreed with the same idea and had devoted times to explore more about the people in the “Delta area”, he has concluded that the Mopan Maya villages of Santa Cruz in Placencia will be the location of his new supermarket. Daniel did spend time to learn the local areas. He had found out the although the government cense in 2010 had stated that there were only 1500 people live in the “Delta area” but in fact, there were more people life in the surrounding areas. He also learnt that there is another well-known supermarket in the area with about 5 year’s history. The majority of the local people have been shopping with that supermarket for a long time. Daniel also learnt that each village has their own leaders and the leaders make certain rules and findings over matters. Village leaders are handling many matters, issues as well as disputes among the villagers and within the villages. Daniels knows it very well that he must make connections with those leaders in order to maintain his business in the area. Also from his studies, Daniel acknowledged that the majority of the local people who live in the “Delta are” are employed as farmers or construction workers with stable and higher income than people in other areas in Placencia. His targeted customers are commonly a family of six with almost everyone is working and bring home about B$400 to B$500 per month each. Such incomes entitle them to have a bigger purchasing powers and high-end items. Daniel also extends consumers’ credits to his customers base on his own discretions on customers’ family size verse the number of working family numbers. For example, Daniel will grant credit to a family of four with three working family members while he would deny credit to a family of six where only one person is currently working. According to Daniel, there is no well-established consumer’s protection laws that addressing credits granting policies and how to prevent grantor from discriminating credit applicants in Belize currently. According to Daniel, the majority of the Belize people are having no to low education but have common sense. Most of the Belize people will finish their education and left school after completing their junior high school. They will start working and bring home incomes and help supporting their families as early as the age of fourteen or fifteen. Daniel also stated that since Belize still is a developing third-world country, the technologies available to the people are relatively limited. However, it does not mean that they do not appreciate the new high-tech products such as i-Phone or Notebook computers. The main issue is the affordability. Meanwhile, while there are some Internet and social media advertisement available, the most effective means of advertisement in the “Delta area” remains with radio commercial and word-of-mouth. Daniel visited Los Angeles during the Christmas of 2015 and shared his vision to import more variety of products to his supermarket in order to capitalize his profits. His sister has experiences of purchasing gifts and premium items and therefore, Daniel wants to do the same with his supermarket. However, he was also facing the challenge of unreliable of the shipping handled by the Belize postal service as well as the corrupted Belize customs and tariff department. If he can handle these challenges, he can import more high-end and high-profits items to his supermarket from all over the world that eventually enhance the living standards of his customers. Daniel was able to locate few reliable and creditable suppliers who can provide quality products with a very competitive pricing. Products like high-end headphones, i-phone, cosmetic items, pearl-earrings and even durable frying pans and woks are all higher profits items that no other supermarket in Placencia had sold before. After meeting with Arthur, Daniel was able to secure an experienced broker who has been shipping containers for Belize for more than ten years. The broker introduced Daniel a new but very economical way of shipping his merchandises including electrical appliances duty free – the blue bucket. All of the merchandises shipped via the blue buckets are duty free. The shipping cost of each blue bucket is US$195 and it takes 33 days from San Gabriel, CA to the front door of Daniel’s supermarket in Placencia. There are so many different economic theories that can explain how and why certain business activities and consumers behaviors are happening, however, entrepreneurs must find out their own best theory that can solve their problems and handle their challenges. As Daniel was focusing to identify higher profit margins items to sells in his store, he also realizes that to obtain a reliable solution to his freight transportation as well as flexibility or a clear trade policies are also important to his success (Rahman, Mallum, & Miller, 2013). However, with these solutions, he must also secure his customers and make sure they will come to his supermarket to buy from him. Therefore, Daniel has chosen to establish direct communications with his customers in order to build trust and loyalty from them. In addition, Daniel knows his frequent customers well enough that his frequent customers will tell him what other supermarkets are having what weekly special promotions on certain items. After Daniel learnt about what his competitors are doing on their weekly promotional discount, he can avoid the direct competition with his competitors by amending his special items. Daniel wants to keep a low profile for another two years so that he can save enough capital to purchase a piece of land and build another store of his own. Daniel stated that once he has his own land and building, his local suppliers are more willing to extend credit to him to that he can have more cash flow to expand his business. Since Daniel has established his new supply chains with high-end and high profit margin items as well as his new shipping broker in January 2016, the sales of his store have been increased from B$65,000 to B$130,000 per month. He is able to maintain a net profits of 25% after all the expenses paid. He is now enjoying a net operating income of US16,250 per month. According to Daniel, his store is currently under the maximum capacity. His ideal capacity is having a daily sale of B$7,000 per day. His plan is to achieve this daily sale by September 2016. With the net 25% profit, he is aiming a net operating income of US$26,250 per month. foremost authority on disruptive innovation. Boston, MA: Harvard Business Review Press. economic thinkers. New York: Simon & Schuster. (p. 3779). Institute of Industrial Engineers-Publisher. Smith, A. (1968). The money game. New York: Random House.